Capture the spirit of Brasil with an evening of classic Caipirinhas, Limonada Suissas and tasty street food dishes. 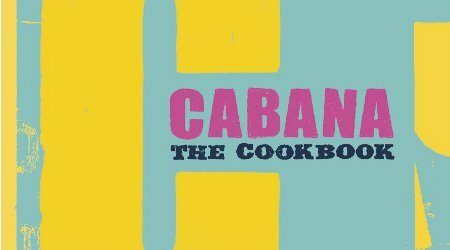 Cabana: The Cookbook gives a vibrant slice of modern Brasilian life with stories ranging from how to dance the samba, to the story of how the Scots brought futebol to Brasil. Jamie Barber, (Hush and Villandry), Rio born restaurateur David Ponté (Momo) and Lizzy Barber have set up 5 successful restaurants in London and have combined their shared passion for Brasilian food and informal eating. Packed with inspirational recipes such as Spicy Malagueta Chicken (one of Cabana’s signature dishes), fiesty marinades of cachaça, lime, garlic, brown sugar and sage, and Chilli and Cumin marinated lamb skewers. This will be a fun and informative talk and demonstration with the whole team behind Cabana. Make this summer the summer of all things Brasilian!